I want to get admission in College of Engineering, Guindy Anna University so can you please give me the list of courses offered there? 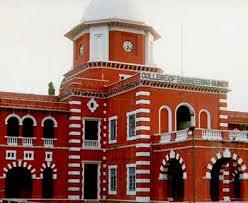 The College of Engineering, Guindy (CEG) is a public engineering college in Chennai, India. It is one of the oldest engineering institutions in the country.